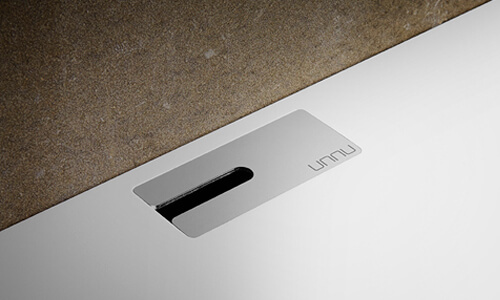 With a unnu ventilation you can cool down the items you have placed in your unnu furniture, usually behind a wood or a fabric door. The ventilation is mounted under the cable hole in the top of the furniture. 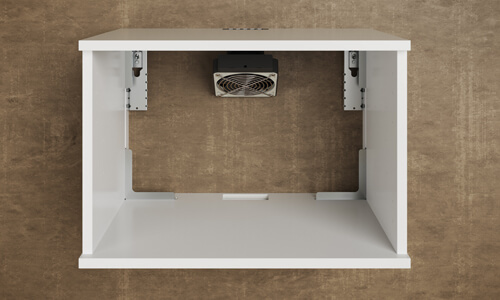 When placing a ventilation in a furniture with a wood or a fabric door you will as a minimum insure the same ventilation as a furniture with no door. Because the heat will rise, we have made a ventialtions solution mounted just under the top plate in the furniture. It will pull the warm air from inside the furniture up through the top. Cold air will be pulled in through the cable hole in the bottom of the furniture. When you order a furniture don’t forget to take into consider how many top holes you need. This may be essential to what models you should order. 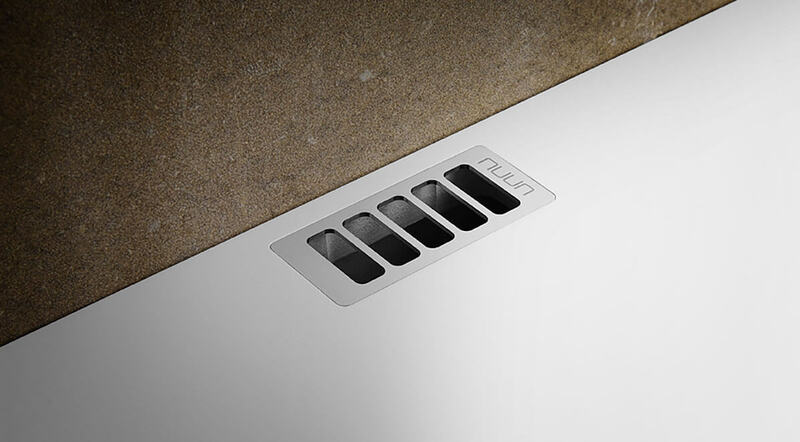 The ventilation is controlled by temperature. It will not start just by connecting the power. It will start up at approximately 35 degress at 800 rpm. At approximately 50 degress it goes up to 1200 rpm. It will slow down and stop when the temperature falls. When using the ventilation the back plate in the furniture must be removed. The ventilation is 13 cm. down and 15 cm in the depth of the furniture. 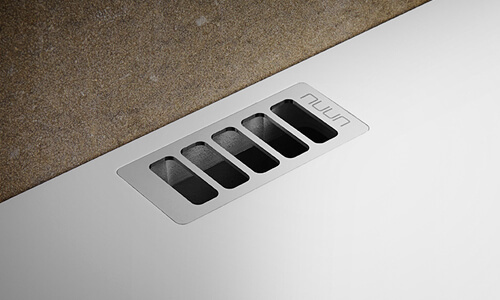 The ventilation can’t be mounted in a room with drawers. 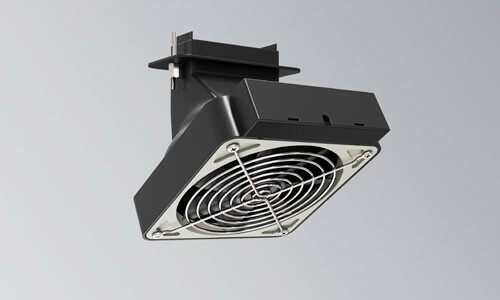 The ventilation can’t be pounted in model 120S, 220 and 221. The ventilation will not be audible from more than 2 meters distance.